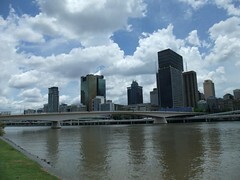 It’s been about 2.5 years since I was last in Brisbane and for better or worse not much has changed. 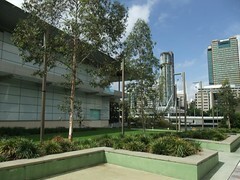 The Queensland Museum is largely the same as it has been for years and years. Though there are now new areas devoted to Aboriginal and Torres Strait Islander history and colonial/state history. The museum doesn’t occupy a particularly large space and in addition to the above also covers subjects such as dinosaurs, animal extinction, historic vehicles and a rotating exhibit space. It’s free and a nice enough area to wander around but unless one of those topics catches your attention it’s fine to skip. 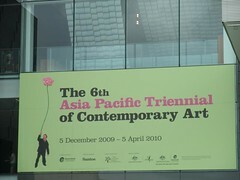 The Gallery of Modern Art (GOMA) had opened just before I was last here and I’ve come back on this visit in order to check out the special exhibit “The 6th Asia Pacific Triennial of Contemporary Art (APT6)“. 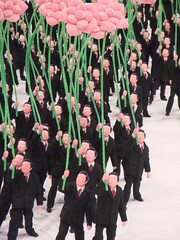 GOMA itself is largely unchanged but of course the APT6 items are new and come across the region from Iran to Japan. The pieces included video installations, interactive displays and then everything in between from wall hangings to full houses. 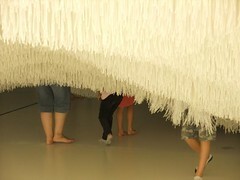 My personal highlight was a room full of densely packed hanging threads that you wander through bare foot while trying to avoid collisions with other visitors. 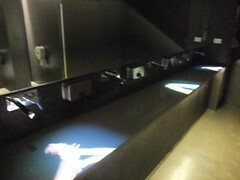 Randomly in the ground floor bathroom they have a video display of hand washing! APT6 is free and well worth a wander. Where one artist’s efforts may bore another will invigorate! 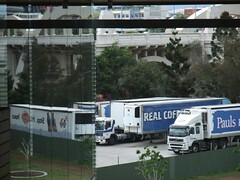 My only critique of the gallery is to question why the restaurant and members lounge both overlook a freeway and truck depot rather than the Brisbane river. An odd choice! 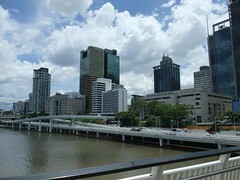 After GOMA we wandered over the Wheel of Brisbane ($15; 10 mins; 3 rotations). 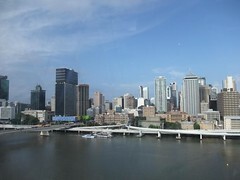 It’s nothing compared to the London Eye but still provides a good view of the city and surrounds. 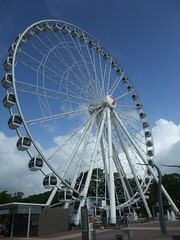 One advantage of the Wheel over the Eye is that there’s a volume controlled narration of some of the notable buildings. Unfortunately one of the facts they decided to include was the use of a bridge in the straight to video Inspector Gadget 2. Seriously? If it’s not a good thing don’t include it.